1. Log into your Drupal account. 2. Select "Structure" > "Blocks". Give your block a title and description. 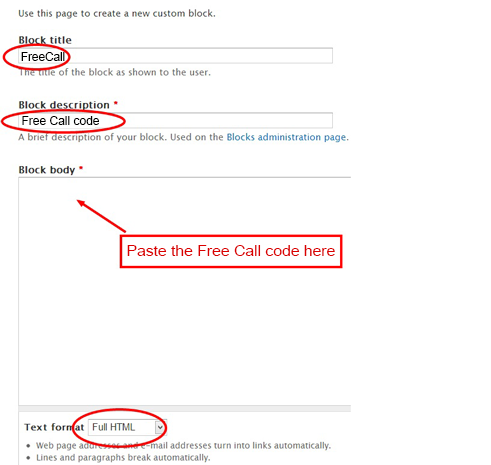 4. paste your Free Call code into the Block body field. 5. Next to Text format, select Full HTML. 7. Refresh your site to make the changes appear.